John Deere has developed simulators for six machines — five for construction (backhoe, crawler, motor grader, wheel loader and excavator) and one for forestry. Putting rookie operators in the driver seats of heavy equipment is the last thing most contractors do. At risk are machines sometimes valued at hundreds of thousands of dollars as well as the safety of the operator. So, before they climb in cabs, novice operators climb into simulated cabs where mistakes are less costly and the dangers are make-believe. Unveiled at CONEXPO 2017 were some of the latest iterations of these simulators. They are designed with three purposes in mind: 1) train new operators, 2) acclimate experienced operators to new machines and 3) attract a new generation of employees to a world where heavy machines with booms and buckets move around on steel tracks and huge tires. 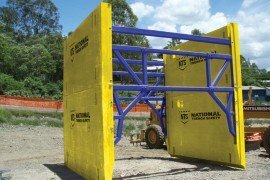 The result is a table-top module for the company’s horizontal directional drilling (HDD) equipment. The unit consists of a software program in a laptop connected to a pair of joysticks that in turn are linked to any TV monitor at least 30 in. wide. 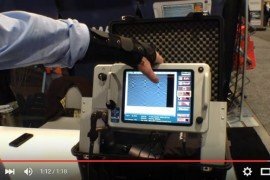 The person being trained sees a cluster of operator gauges on the screen of the laptop, manipulates controls using the joysticks and watches the virtual drill respond on the TV monitor. “The trainee actually feels like he is on the machine at a jobsite,” Wolfe says. The simulator is integrated into the Ditch Witch certified training program, which is a 40-hour instructional regimen conducted over five days. The teaching begins with six sections of online instruction followed by a half day or so on the simulator to develop muscle memory and operational techniques, followed by auxiliary instruction. The training concludes with a day in the field on an HDD unit. 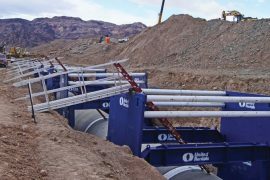 Wolfe says Ditch Witch developed the simulator for its horizontal directional drilling products because “HDD is the most popular way of putting infrastructure in the ground today. 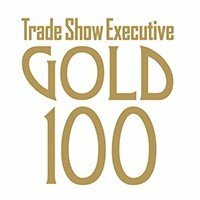 There is a tremendous need for HDD operators across North America. The simulator is helping attract new people.” He adds that “at some point” a simulator will be introduced for Ditch Witch trenchers. 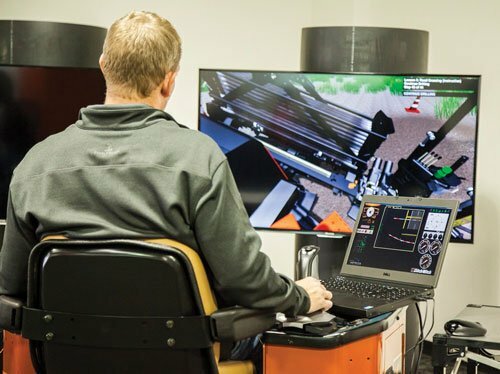 Komatsu America has moved deeper into the simulated-training realm, unveiling at CONEXPO a virtual reality simulator that replicates the images, sounds and sensations of actual machine operation. 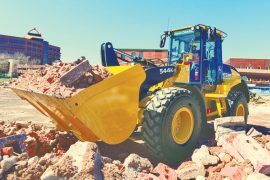 The system was developed for the manufacturer’s excavator products because those machines are relatively complex in their operation and are among Komatsu’s biggest sellers. Planning has begun for other machine models. The company’s earlier simulators — primarily for mining equipment — were bulkier. “The VR unit doesn’t require the hardware found with traditional simulators. You don’t need the seat or the large frame. All you need is the computer, goggles, a joystick and foot pedals. You can load it in a couple of suitcases and travel the globe,” says Craig Yager, Komatsu America’s manager for technical training. VR trainees move progressively through several levels of instruction. First lessons introduce lever functions basic to digging and dumping, such as swinging a bucket into a trench. More detailed operational lessons follow, each of them guided by expert narration through a headset. Then trainees complete assigned functions without narrative help. The final VR session has novice operators working on tasks alone and receiving an assessment at the end. They are graded on such things as their speed of cycling, care of the machine and the accuracy of their bucket work. A scorecard tells the story. John Deere is spotlighting its second-generation simulators. They do not employ VR technology but are an upgrade from Deere’s predecessor construction equipment simulators introduced a decade ago. “We worked with our customers to develop our first simulators, did a needs analysis and came to the place where we are today,” says Jonathan Goodney, manager of learning technology for Deere Construction & Forestry. The Deere simulation programs familiarize a trainee with a machine and then guide the operator through several real-world tasks, each of which is mastered before moving on to the next one. 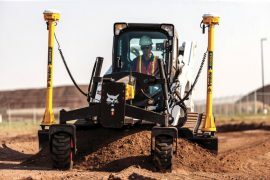 The latest simulator hardware includes a motion platform that conveys the “feel” of a machine during operation so that, in the case of an excavator simulator, “if you start to tip, you can feel it,” says Goodney. 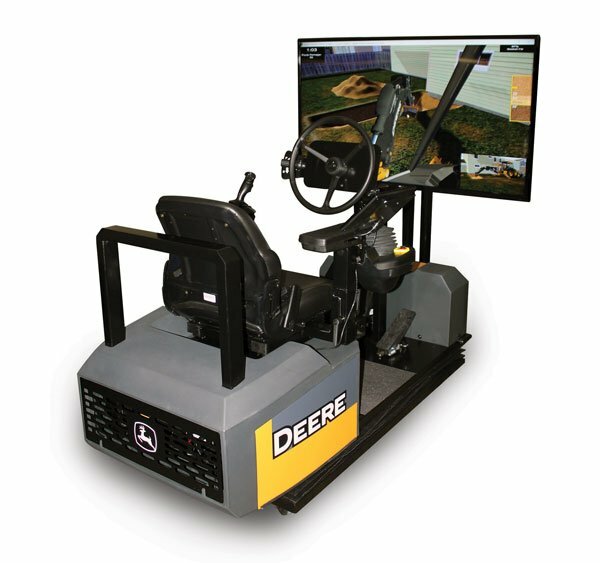 Goodney manages all of Deere’s web-based, video and simulator training modules. “I want to say that we have a lot of DVD and online training that complements even more than the simulator program,” he says. “For almost all of our machine types, including compact equipment, you can find them online at John Deere’s University [www.jdu.deere.com] and search for “Operator Training.” Before you get on a simulator, we highly recommend that you have a look through DVD offerings and our online courses.” In addition, some Deere Safety Tips YouTube training videos have attracted thousands of hits. Ditch Witch has integrated a simulator into its certified training program, which is a 40-hour instructional regimen conducted over five days. Modern simulators aren’t cheap, except in comparison to the machines they replicate. Deere construction equipment simulators fully equipped with 3-in. motion actuators and computer cost a buyer in the $27,000 to $37,000 range. The “table-top” HDD system at Ditch Witch runs about $8,000. Some Deere dealerships have the simulators set up for trailering to customers and group events. While Ditch Witch’s units are primarily for use in its certified operator program, they also can be purchased. 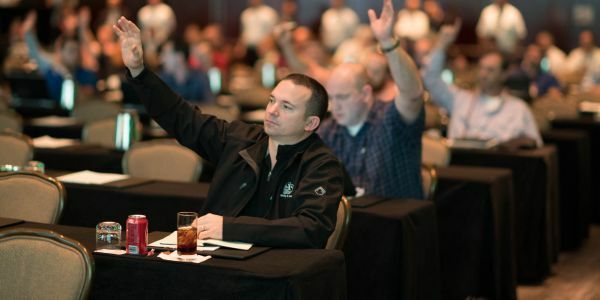 One way or another, the high-tech trainers are seen as the best way to attract millennials into the industry and to replenish the equipment operator pool that has grown shallow. 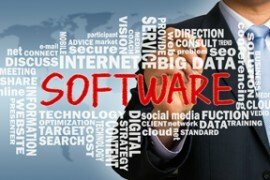 The units are envisioned for triple use: as tools for testing new hires, as cost-effective training platforms —including in community college curriculums — and as a means of teaching old hands new tricks required to operate latest generation machinery. “I still believe you can climb in a cab and learn to operate a piece of equipment the old-fashioned way,” Yager says. Except, he added, when you consider the cost of fuel, probable delay in completing a job, risk to a machine and safety of a novice operator. Never has simulation looked so good. Learn more about construction training here.